EPA public meeting about proposed West Lake Landfill remedies held March 6, 2018, in Bridgeton, Mo. To simply write that the Environmental Protection Agency’s (EPA) public meeting detailing proposed remedies for West Lake Landfill was a packed house would be an understatement. The meeting hall was overflowing and parking was a mess. It is estimated that more than 1,000 people attended. 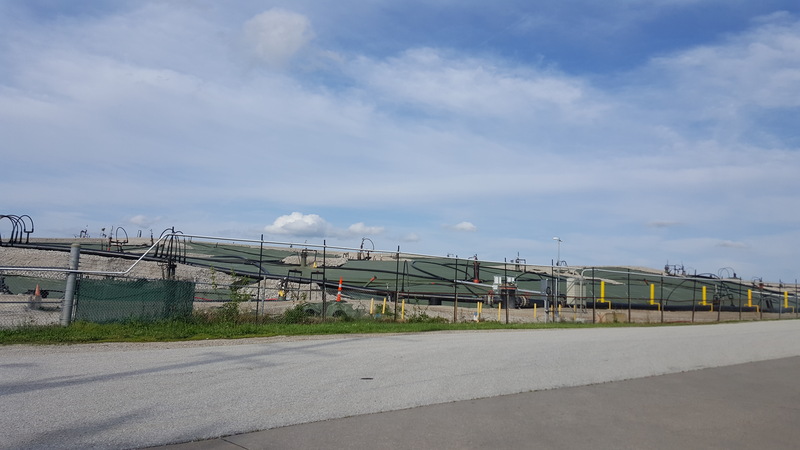 The meeting, held March 6, 2018, in Bridgeton, Mo, outlined the eight different plans the EPA is currently considering as a remedy to the illegally dumped radioactive waste contained in West Lake Landfill. Continue reading below to see outlines of the eight proposed West Lake Landfill remedies, and video clips of the comments made at the meeting by Just Moms stl co-founders Karen Nickel and Dawn Chapman, Bridgeton Mayor Terry Briggs, and Albert Kelly, chair of the EPA’s Superfund Task Force and advisor to EPA Administrator Scott Pruitt.